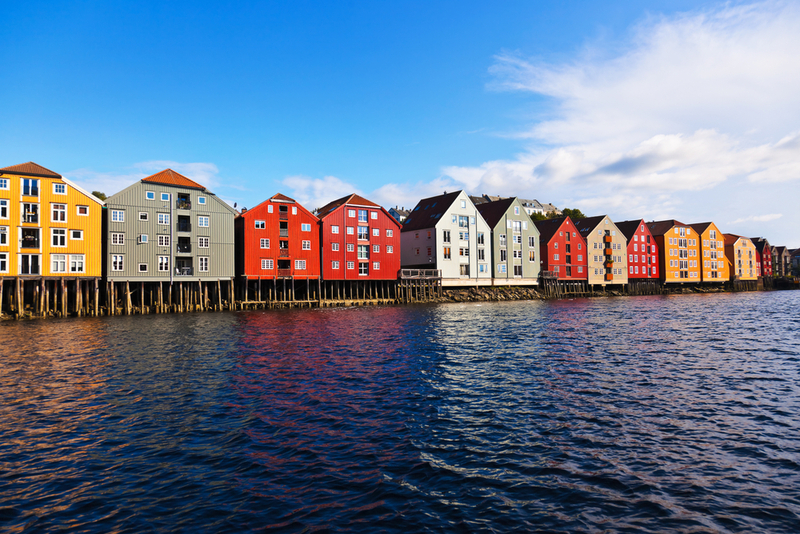 The fjords may be stunning but there is plenty to more to enjoy in this scenic part of the world as the towns and cities with their architecture frozen in time and exquisite seafood-based cuisine are complemented by the people being so friendly. And Saga’s Fjordland Memories voyage will encapsutale much of it, spending three leisurely days cruising the Hardangerfjord during the unique Hardanger Music Festival. Musicians from the festival will actually perform on board against a backdrop of breath-taking scenery, while Festival performances take place along the fjord to make for a unique musical experience. The whole voyage starts in picturesque Bergen (below), however, where there will be a chance to visit composer Edvard Greig’s former home at Troldhaugen. After exploring the old town, it’s a great idea to walk down to the harbour and sample some of the great seafood from the stalls clustered around. It what’s the locals do, so it must be a good idea! Then, of course, it’s back on to the ship for a leisurely drink in the bar as Saga Sapphire sets sail out of the lovely harbour. Passengers will then be able to fully embrace the region’s musical spirit during the Music Festival, with a special programme of events, and enjoy the fjordland’s natural beauty just at the time the fruit orchards are in bloom. 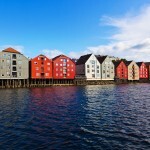 But you can’t come to Norway without seeing the fjords and this cruise takes in one of the finest, with the classic vista of precipitous cliffs and waterfalls, plus the small settlement of Eidfjord, as the gateway to Norway’s largest National Park. Here, the clear blue sky sets the off the snow-capped mountains perfectly and it is a wonderful place to disembark and just wander the fabulous pathways. 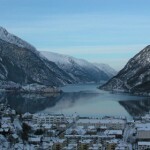 The colossus of Hardangerfjord also gives rise to the lesser-visited Sorfjord (below) at one end, with the traditional town of Odda set at the foot of the mountains. Here, guests can view the beautiful waterfalls of the Odda Valley on a panoramic drive or perhaps take in the interesting Tyssedal Hydropower Museum. 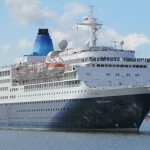 Saga’s 7-night Fjordland Memories cruise costs from £909 and departs Dover on June 2, calling at Bergen, Ulvik, Eidfjord and Odda.